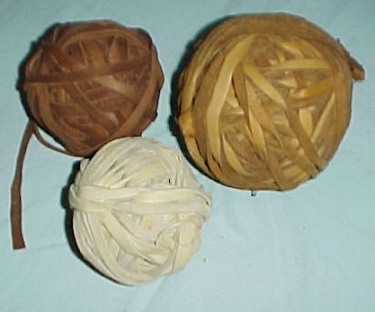 Artificial Sinew is what is used today to sew your leather projects together, make dreamcatchers, and make bowstring. 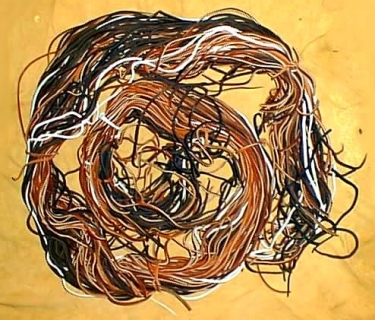 This is the 5 strand 70 lb test weight that you see everywhere. 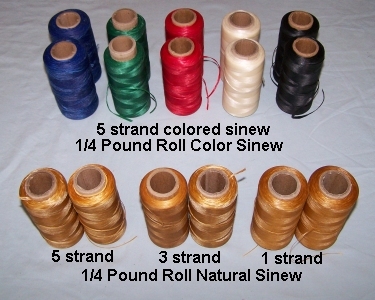 Most people buy this weight and split the strand when they need smaller diameter sinew. 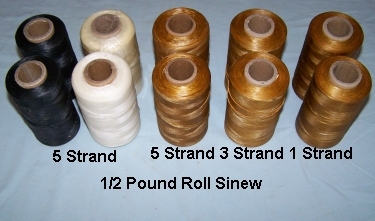 The bobbins are approximately 20 yards long. This stuff is really tough and hard to break.